The Bolivarian president said, “I can say that Washington’s response in the first place was always the same (…) financial diplomatic persecutions and rejection. 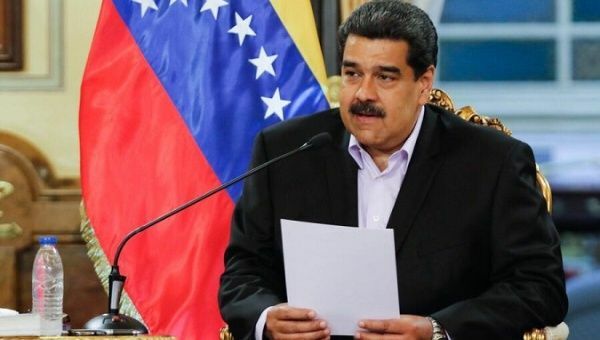 During the televised address, President Maduro said, “The U.S. today decided to go the illegal way by stealing the company Citgo from Venezuela. “Since I assumed to this day the message to the United States has always been one: dialogue, respect, non-interventionism towards Venezuela and the response from Washington was always the same: contempt, underestimation and aggression,” Maduro said, denouncing the sanctions as a “robbery” and revealing his plans to take legal action against the U.S.
“I am ready once more to start a round of talks, dialogue, negotiations with all the Venezuelan opposition, with only one objective: peace, understanding, mutual recognition,” he said.